PAV (Plataforma Andaluza de Voluntariado - The Andalusian platform of volunteering), is a non-profit organisation composed of eight sub-regional platforms, one for each capital city in Andalusia. 406 voluntary organisations, 192 professional Volunteer Coordinators and more than 155.000 volunteers make up these sub-regional platforms. Our main activities are promoting volunteering, developing and managing projects involving volunteers, supporting voluntary organisations and volunteers, and providing training opportunities for volunteers and the professionals working in voluntary organisations, in particular, Volunteer Coordinators. In 2012 PAV was awarded the recognition of “Utilidad Pública” (Organisation of Public Interest) by the Spanish government. PAV is member of the CEV (European Volunteer Centre) and a member of the PVE (Plataforma del Voluntariado de España). Stowarzyszenie WIOSNA (literally WIOSNA Association) is a nationwide organisation established in 2001. WIOSNA’s mission is to help people to effectively help each other, through projects such as: Nobel Parcel, where volunteers match private donors with families in need; and Academy of the Future, where volunteers act as personal tutors for children suffering from school failures, among others. In 2015, WIOSNA helped over 20.000 families and 2.000 children with the support of 15.000 volunteers and 26 professional Volunteer Coordinators. Businesses and celebrities recognised on a national scale i.e. actors, sportsmen, singers, journalists and politicians have participated in the promotion of WIOSNA Association's actions. Thanks to those social campaigns the WIOSNA Association has reached a wide audience and thanks to that it is one of the most recognised Non-Governmental Organisations in Poland. At the moment, the focus of our projects is on children (Ugotchi), young people (UTour, Projekt X, Vamos Chicas) and children with special needs (Wiffzack). The aim is to open their mind to sport activities and sport clubs. Volunteers are an essential part of the sport system in Austria and sports clubs depend on them to work efficiently. Therefore, one of the role of our organisation is to help our members (sports clubs) in: recruiting volunteers and providing initial training to them, supporting the sports clubs and their volunteers in their projects and activities, providing vocational training opportunities for volunteers and those professionals working in the sports clubs, in particular, Volunteer Coordinators, and providing training on financial, legal and organizational matters. CPV (Confederação Portuguesa do Voluntariado - Portuguese Confederation of Volunteering) is a Non-governmental organisation and was founded in 2007 by several volunteering organizations, which identified the necessity to create a platform of civil society organizations working on volunteering empowerment, capacity building, networking and promotion. CPV’s mission is to “represent the volunteers of Portugal and their respective organizations, regardless their field of activity, and to contribute to the protection of their respective rights and interests”. Our main objectives are: i) to represent volunteers in Portugal; ii) to preserve and update the identity of Volunteering; iii) to cooperate with the federated organizations, acting in cooperation between voluntary organizations and between these and other entities; iv) to enhance the role of volunteering within Portuguese society. two Scouts associations (one catholic and one interconfessional) with more than 10.000 volunteers each; Portuguese Victim Support Association, with more than 50 volunteers; Portuguese Association for Local Development with more than 60 member organisations nationwide; Portuguese Caritas with delegations all over the country; National Confederation of Social Solidarity Associations with more than 300 member organisations; Portuguese Confederation of Culture, Sports and Leisure Associations, with more than 3.000 member associations and 40.000 volunteers; Portuguese Red Cross with delegations nationwide; National Federation of Camping and Mountaineering with hundreds of member organisations; Portuguese Firefighters Association with hundreds of member associations nationwide; Senior Universities Association with 300 member universities with more than 6.000 teachers volunteers. Many of the organizations suffer from an offset between supply and demand of volunteers and have difficulty in retaining and doing follow-ups and evaluation activities with their volunteers. Generally, these organizations have no networking experience and one of CPV’s main objective is to foster networking and opportunities for knowledge sharing among voluntary sector organisations in Portugal. 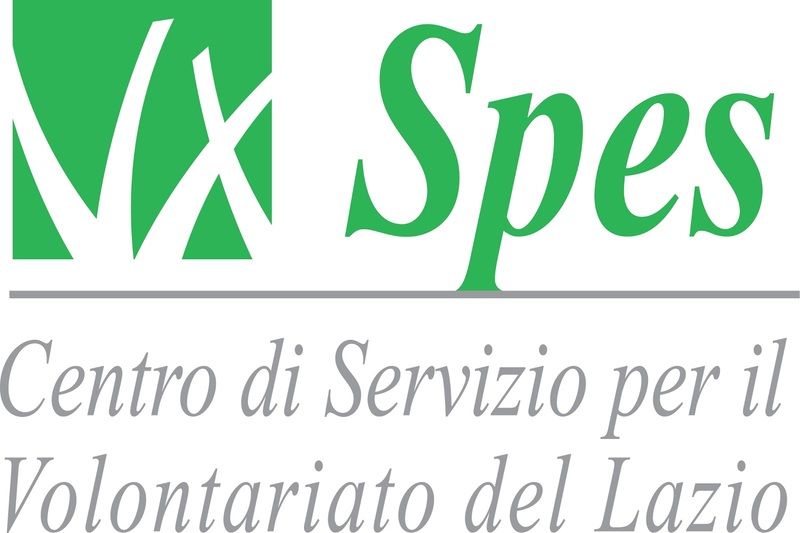 SPES (Centro di Servizio per il Volontariato del Lazio - Volunteer support centre of the Lazio region) was founded in 1998, as an association of associations, uniting initially seven large federations and networks. The territory we cover with our work is the Lazio region of Italy, which includes: The capital city of Rome and its province as well as four other provinces (Frosinone, Latina, Rieti and Viterbo). Besides the central office in Rome, with two training and conference halls and a library, we manage 11 local offices with meeting spaces for associations for the territory of the Capital City of Rome, 4 fully equipped and fully staffed “Houses for volunteering” in the cities of Latina, Frosinone, Rieti and Viterbo and 7 local branches in small towns and rural areas of the Lazio region. The core mission of SPES is to support the operational capacity of voluntary organisations, to strengthen their capacity to impact on society and to promote the culture of solidarity and of active citizenship through better recognition of and wider involvement in volunteering. Our services are free of charge for volunteers, voluntary organizations and citizens. As part of this mission, we provide voluntary organisations with training opportunities for volunteers and those professionals working in voluntary organisations. In 2014, 1.198 associations used at least one service offered by SPES, which represents almost half of voluntary organizations registered in the Regional Register. Volunteer Centre, IAVE – International Association for Volunteer Effort, ALDA – Association of Local Democracy Agencies, CIME – Italian Council of European Movement and ISTR – International Society for Third Sector Research.